Suez Canal, Straits of Gibraltar, and English Channel. On Christmas Eve, as the Christophe Colomb floated in the English Channel in the wake of a buffeting storm, we received permission to dock - the last ship in before the port closed for two days. This was good news for the crew: They’d be able to Skype with their families, and the presents they’d ordered would arrive in time. It was good news for me, too. 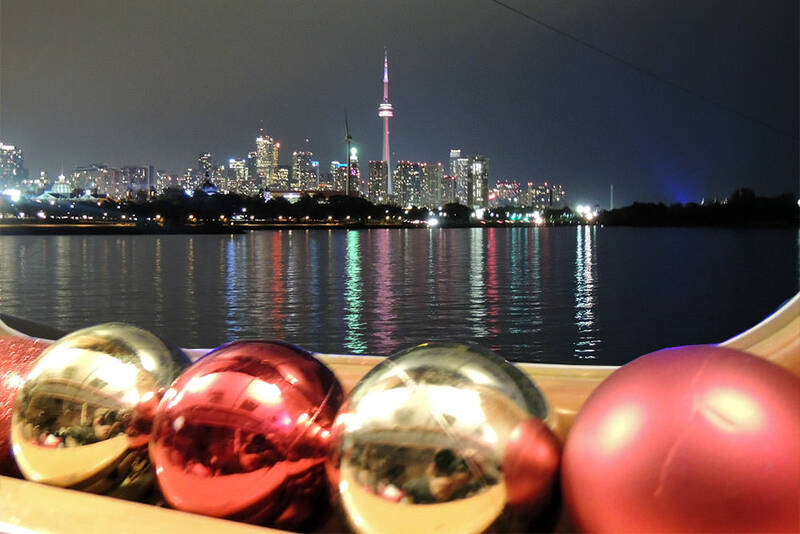 The weather had turned cold and rough, ending my chances to be outdoors ... I’d been ruing the prospect of a Christmas spent adrift, waiting for the port to reopen. Yet as we glided into Southampton in the setting sun, I was pulled up short by the realization that this port visit would be my last. I’d grown accustomed to the rhythm of moving on, the privilege of surveying the world as we passed, the luxury of 360-degree light and space. I’d also been part of a community I would never see again. In order to catch one of the last trains out of town, I disembarked hastily, as soon as we moored. I exchanged hurried goodbyes with my shipboard friends, clambered down the gangway as it was still swinging into place, jumped into a taxi at the port gates, and within an hour or two of floating on the globe-encircling sea, found myself chugging between English stations on a jerky train. My nearly monthlong experience was over in a matter of moments. For many days, I was shadowed by a ghostly sense that I was in the wrong place. The challenges I’ve felt readjusting to life on land throw into relief everything that I experienced on the Christophe Colomb. 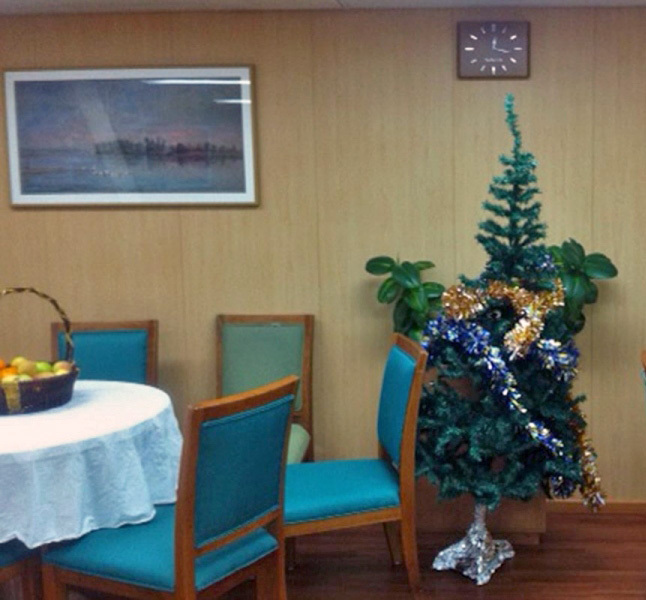 I kept in frequent e-mail and Facebook contact with the crew, eager for their reports on Christmas festivities on board. I kept waking up in the night thinking that my bed was moving, and confused to find that it was not. When I visited the British Museum one morning in London, I felt dizzy and bewildered by the crowds. Outdoors, it seemed that everywhere I looked there was something getting in the way of the sky. Even a country landscape seemed to have too much going on, too much clutter, too many trees, roads, houses, sheep. With so many options suddenly available to me for how to spend my time, I felt indecisive and overwhelmed by choice. Often, living between sea and sky was simply magnificent. Standing at the prow of this Empire State Building–sized ship, racing toward the horizon in almost pure silence, I saw flying fish leap up and outpace us, skimming dozens of feet across the sea. I walked through the below-deck alleyway over a giant steel floor panel that had been buckled and bent by the sheer power of the waves. I woke up in the night because my bed was moving beneath me. I saw the green sea foam in angry wind, and the cobalt sea slip and slap in calm, and sharp blinding sheets of sea in sunlight between gray blurs of rain. On one of the lower decks, by the starboard lifeboat, the sailors one night set a converted crankshaft over an oil can filled with charcoal, and slowly roasted a suckling pig. We had an outdoor barbeque party, on a broad strip of deck walled on two sides by containers. The karaoke machine was brought out, and buckets of Tiger beer, and the cook hacked pork while others flipped squid and hot dogs on a giant grill. For a few hours, all thirty-one of us ate the same food around the same table, passed around the karaoke mikes, chaffed and laughed, and we could look up between the containers at stars as clear as you’ll ever see them from earth, and forget—or celebrate—that this was happening a thousand miles from anywhere a person might call home. ... Traveling relatively slowly has let me appreciate the richness of unpressured, open-ended time. Ringed all day and night by the sea and the sky, I appreciate more both the scale and the power of the ocean and the power of humankind to cross it. I understand land, as never before, to be the margin of an ocean that dominates the planet. I also leave my journey with thanks and admiration for the work done by sailors, and heartfelt appreciation toward the captain and crew of the Christophe Colomb for such a warm welcome. My last words are for them. May your seas be smooth, your voyages safe, and your homecomings all you could wish. and contact us through the General Information and Reservations page. but it revolutionized trade and made globalization possible. see the inside of a shipping container at some point. "I had to wait most of the day to deliver the bales, sitting there in my truck, watching stevedores take each crate off the truck and slip it into a sling, which would then lift the crate into the hold of the ship. Once there, every sling had to be unloaded, and the cargo stowed properly. The thought occurred to me, as I waited around that day, that it would be easier to lift my trailer up and, without any of its contents being touched, put it on the ship." - It took about 20 years from his original spark of invention until actual implementation. Eventually this idea evolved into simply taking the box rather than the entire truck on board. 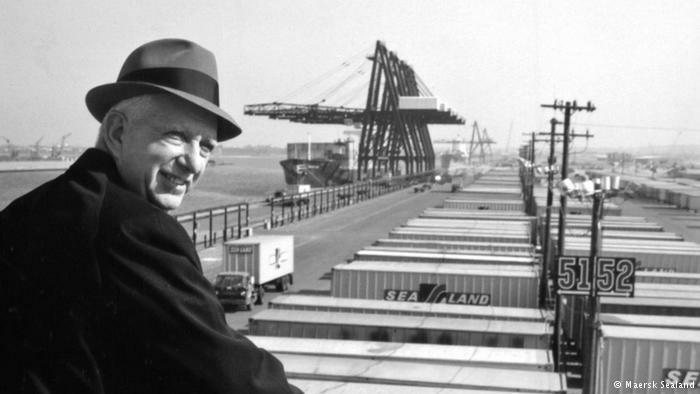 In 1955 McLean (pictured) rolled the entrepreneurial dice, buying two WWII era oil tankers and securing a loan to purchase $42 million worth of docking, shipbuilding, and repair facilities. He retrofitted the ships and in April 1956 started a new service along the US East and Gulf Coasts loaded with boxes full of cotton bales. This marked the beginning of container shipping. The road to Europe - sixty years ago. 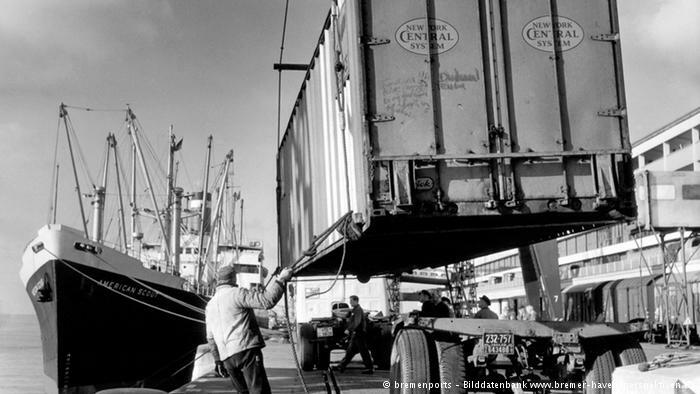 The first containers landed in Germany in May 1966, when McLean's Fairland arrived in Bremen's seaport with 110 containers on board. At the time, it was not taken seriously, often spoken of as a "flash in the pan" and an "American loony." - Today, container shipping is status quo. 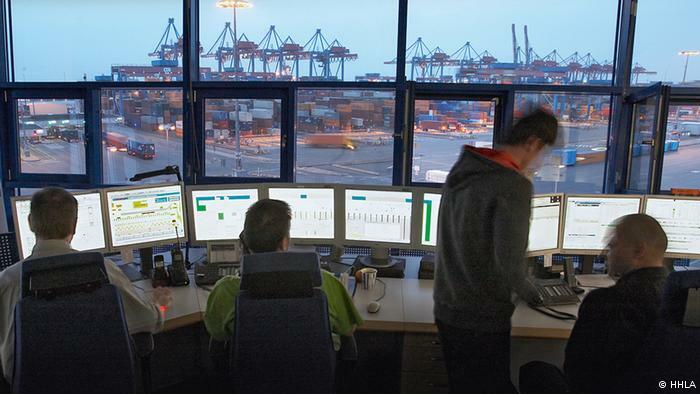 Ports had to adjust their infrastructure to the new requirements. In the beginning, containers would often go missing because there was no system in place regulating where to put what. Later, container bridges were built that facilitated stowage. There are options today for refrigerated containers for foodstuffs, tank containers or ventilated containers. Size may also vary. But in 1961, the International Organization for Standardization (ISO) established worldwide norms, and the 20-foot container, known as the "Twenty-foot Equivalent Unit," or TEU, as standard unit for transporting goods. 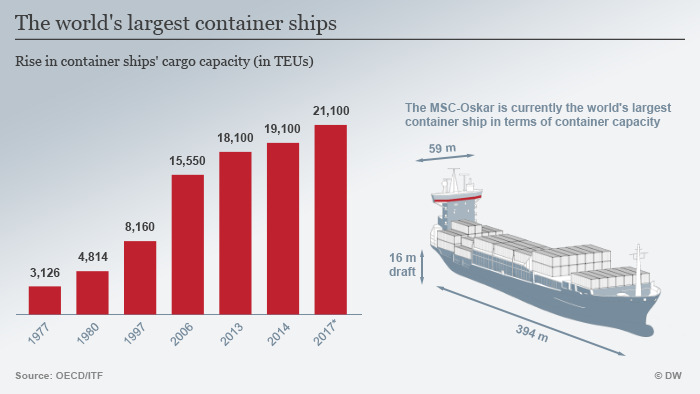 One way to express the size of a containership is the TEU capacity. With this globally standardized packing unit, goods have been transported from sender to recipient unopened, significantly improving security of goods and reducing transportation costs. Global trade exploded. Ports have been getting bigger. 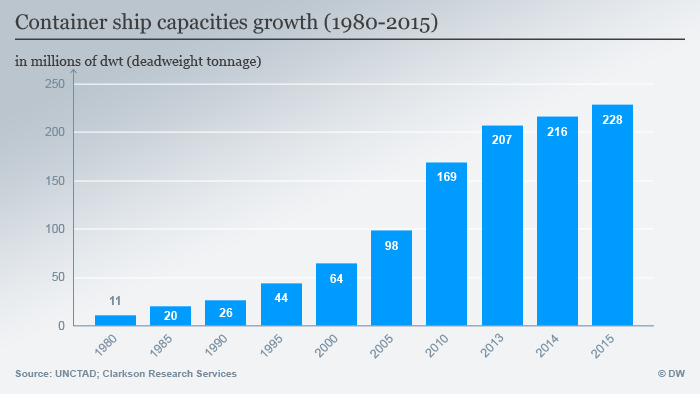 Shipyards are producing mega-carriers with capacities of over 20,000 TEUs. Whether it's possible to build even larger ships is questionable. 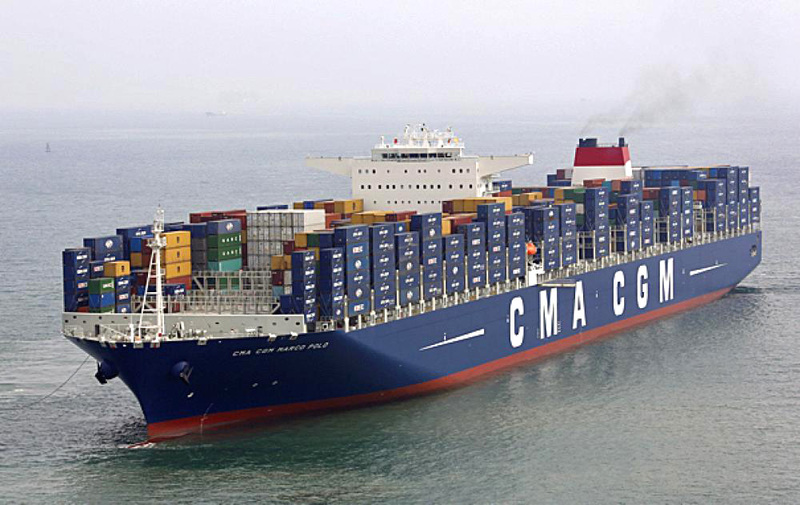 The cost savings per container on such massive ships is marginal, and the economic risk rises considerably. The motto? Make it simple. 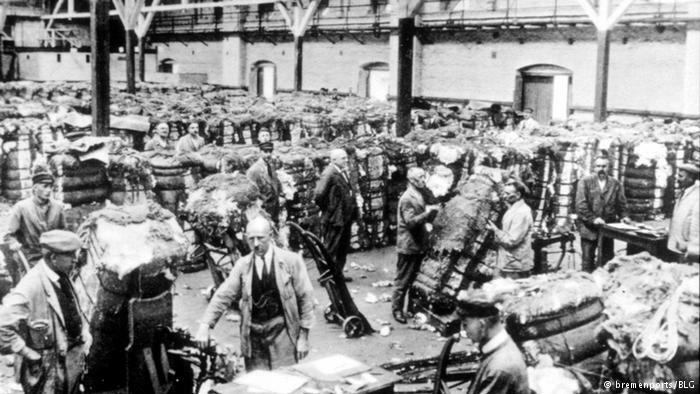 The initial resistance of shipowners, port operators, railway companies and unions was great. They were concerned for their jobs and thought operating new cranes, trucks and containers would be too difficult. But McLean had demonstrated the cost-benefit ratio beyond a doubt.